Does Government Debt Harm Future Generations? Why should we borrow so much, foisting our profligacy on our children and grandchildren...A spiralling national debt isn't only bad economics, but is also morally repugnant. Unfortunately, the Economic View feels the need to point out, the economic logic behind the above argument does not completely hold. In theory, government debt need not necessarily leave future generations any worse of at all overall - net. This is because, for every pound the government borrows, there must be someone on the other side lending that money. So, assuming all government debt is held only domestically, the 'burden' on future generations will be zero. While some parts of the population will pay higher taxes to service the debt, another section will receive interest payments for lending the government that money in the first place (and these two groups are likely to overlap). Of course, there are many other reasons that excessive government debt may be undesirable in terms of its effects on future generations, not least the distributional consequences, but in terms of the question of a net burden on society, the case does not hold. Having said that, around 1/3 of government debt is in foreign hands, and so there will be a net 'burden' on society in the future to an extent. The assumption that all government debt is held domestically is not completely accurate in Britain. Although, even then the argument over whether government debt burdens future generations is not settled. It depends on how the government spends the money it borrows. If it is being used to finance short-term consumption, then, yes, the fact that around 1/3 of our debt is foreign owned will mean that we are enriching ourselves at the expense of future generations. But, if the money is used to finance vital, beneficial long-term investments in, say, infrastructure, then future tax payers will feel the benefits of that spending, as well as the costs, and so not necessarily be worse off overall. So, while in theory government debt needn't leave a net burden on future generations, in reality it probably will to an extent. However, as shown, when government debt is domestically held (as 2/3 of British government debt is), hyperbolically stating that government borrowing is 'morally repugnant', irresponsible and so on, is clearly a huge exaggeration. As the economic logic shows, the majority of British government debt will, in fact, not leave future generations worse off. 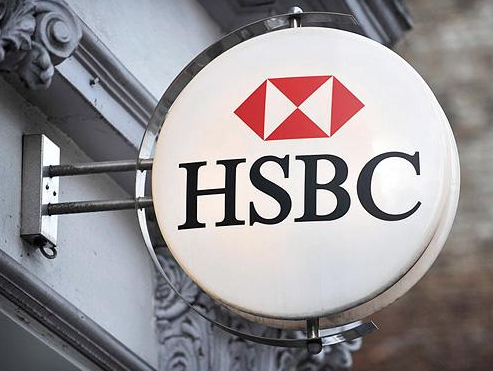 More than a week after revelations about HSBC's part in aggressive tax avoidance - and outright evasion - the issue has continued to dominate the news headlines. Ed Miliband, leader of the Labour party, has promised a comprehensive review of HMRC practices, and a crackdown on tax evasion and aggressive avoidance if he becomes Britain's next Prime Minister. I won't delve again into the difference between evasion and avoidance, and the wrongs and rights of tax avoidance, which The Economic View has already covered (http://theeconomicview.blogspot.co.uk/2015/02/tax-avoidance-is-not-wrong-its-legal.html), but the case does need to be made for a simpler, flatter tax system. If politicians really want to stop the possibility of 'aggressive' tax avoidance, then this is the only way to go. The reason that 'aggressive' tax avoidance is possible in the first place is because of the complexity of the British tax code. It runs at over 17,000 pages and contains a multiplicity of loopholes, exemptions and incentives that, collectively, mean clever accountants can always find innovative ways of minimising - within the law - the tax liabilities of wealthy individuals and multi-national corporations. Complications to the tax code originally designed to incentivise investment in the British film industry, for example, have often been featured in the news for, contrary to their original purpose, allowing wealthy celebrities to avoid tax. In a tax system so complicated and elaborate, companies and individuals - and their well-paid accountants - will always find smart ways to reclassify and shift income around to avoid tax. A simpler, flatter system of taxation is the answer. With a simpler system of flatter taxes, the opportunity to cleverly avoid tax almost completely disappears. Deferring or reclassifying income would no longer be worth it. Shifting income, taking advantage of loopholes and exemptions; none of this would be possible. Realistically, a move to a simpler tax regime is the only way to ensure that companies and individuals pay the amount of tax intended by government, as such a system does not give rise to the opportunity of doing otherwise. The only alternative to this is for politicians to retain the current system, but continue to preach the moral necessity for big corporations to pay their 'fair share'. But hoping that companies will voluntarily pay anymore than the minimum amount of tax they are legally required to pay is unreasonable and futile. The only way that we can get these aggressive avoiders to pay more tax is to reform the system, and thus change the incentives. Crucially, Labour and the left must realise that they cannot have both a redistributive, very progressive, complicated tax system that is also efficient. As in all of economics, there is a trade-off between the two. But, if politicians are really serious about 'cracking down' on aggressive avoidance and making sure that large companies and rich individuals pay more tax, then they must change the laws and reform the system. We can't expect people to pay more tax than they have to - almost nobody voluntarily sends more money to HMRC than required - so instead the incentives must be changed, and we must move to a simpler, flatter tax system. 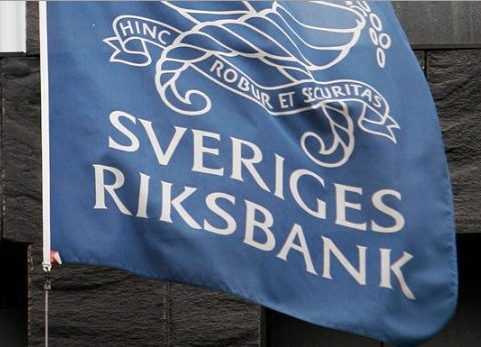 This week the Riksbank, Sweden's central bank, cut its key interest rate from 0% to -0.1%, a record low. This measure, along with a programme of quantitative easing, aims to boost the economy and increase inflation from its current -0.3% annual rate. You might wonder why the Swedish central bank has been so tentative in cutting interest rates in the face of deflation, an economic scourge that all central banks vigorously try to avoid. Indeed, interest rates in the USA, UK and Eurozone have all clustered around zero, not falling any further, despite economic contraction and stagnation in all three. The reason for this is the so-called 'zero lower bound', which means that, in practice, nominal (not adjusted for inflation) interest rates cannot be reduced below zero. This lower bound occurs because cash effectively has an interest rate of 0%. So, when interest rates go below zero for depositors, they would rather hold cash than leave it in the bank to wither away at negative interest rates. Consequently, central banks become impotent when faced with a need to stimulate the economy while interest rates are already very low; rates cannot be pushed further down. However, this is only the case in a world of hard cash and paper money. If Sweden, or indeed any country, were to abolish paper money and go completely electronic, then this problem would disappear. Sweden, and countries like the USA or UK, would not have had to endure the lengthy and painful recessions that have occurred following the 2008 financial crisis. In a fully electronic world, interest rates can always be pushed lower to stimulate the economy without fear of a mass conversion of deposits into hard cash, which would no longer be an option. There would never be a repeat of the Great Depression, or Great Recession, in a cashless world either, as monetary policy can always become looser and more expansionary. This radical idea would have seemed crazy even a decade ago, but with the irresistible and astonishing rise of the internet and digital forms of payment and money, it doesn't seem so insane now. Technology - debit cards, online and contactless payment - has rendered cash useless. Eliminating cash would have myriad other side-benefits. Forgery of cash would become impossible. Organised crime would become far harder to conduct, as cash could no longer be used to fly under the radar; all movements of money would be digital and accessible by the authorities. Tax evasion would fall as businesses that currently use cash as a way to under-declare income would no longer have this option. In light of the forceful economic arguments in favour of abolishing cash, in addition to the large side-benefits in terms of reductions in tax evasion, crime and forgery, it is clear that it is time for the abolition of paper money. The Economic View hopes that, long into the future, economic historians will back and chuckle at the relic of paper money and wonder why we persisted with such a system for so long. With revelations today about HSBC's part in helping the rich avoid (and possibly evade) tax, the blogosphere has become clogged with high-minded moralising over the wrongness and immorality of tax avoidance more generally. In recent times, companies like Starbucks and Amazon have been vilified for 'aggressive' tax avoidance, despite avoiding tax being perfectly legal and within the bounds of the law. 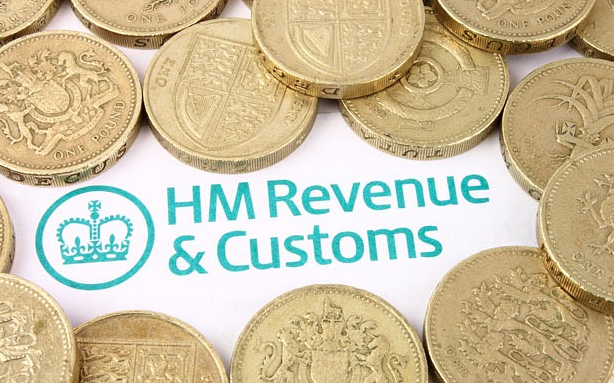 The distinction between tax avoidance and tax evasion is important. Recently, the line between the two has become blurred as people have condemned both, often without realising the difference. Tax evasion is illegal and clearly wrong. There is not any disagreement about this. Companies or individuals found to be breaking laws with regard to their tax liabilities should be made to pay the entire amount originally required (as well as any compensation that may be warranted), and the full extent of the law should be pursued. Tax avoidance, however, is perfectly legal, and it is here where The Economic View has concerns over the aforementioned recent 'high-minded moralising'. It is also too easy to criticise and condemn companies for avoiding tax, complaining of the wrongness morally of doing so. But, if a company is complying with all laws, then what is the right amount of tax to pay, if not the current amount? What is the moral amount of tax to pay? Much of the discussion around these issues is very generalised and vague about the wrongs of Amazon or Starbucks or whoever paying a certain amount of tax deemed 'too low'. But, if it is within the bounds of the law, then what is wrong? What amount should they pay instead? As any tax accountant will tell you, there are a million different ways for individuals or companies to manage their tax affairs. Tax liabilities can be structured in an infinite number of different ways, varying in efficiency and the amount of tax paid. Who is to say which of these infinite number of different tax structures is more moral, or 'better' than any other, if they are all legal? Lastly, while it is easy to condemn companies for tax avoidance, who among us does not avoid tax? The Economic View certainly does not know anybody who voluntarily pays any more tax than is legally required, yet this is not seen as wrong. Many people will buy things in duty free while going on holiday each year, avoiding VAT, yet this is seen as permissible. While it is all too easy to moralise about the wrongs of tax avoidance and evasion vaguely and generally, specificity is needed as to whether the activity in question is legal or illegal. Clearly, illegal tax evasion is wrong, but what about legal tax avoidance? It is unfair to expect companies, or individuals, to pay anything more than the minimum amount required by law. If we want rich individuals and large multi-national companies to pay more tax, we need to change the laws to force them to do so. George Osborne, Chancellor of the Exchequer, today announced that government-backed pensioner bonds, offering interest rates of up to 4%, will be offered for an extra 3 months. These 'granny bonds' have, unsurprisingly, proven extremely popular due to the high interest rate being offered, and 600,000 people have now signed up. This latest offering from the government comes on top of a host of other universal benefits already offered to the old, including the winter fuel allowance, free tv licenses and free bus passes. The current government also introduced the 'triple lock' system for pensions, meaning the state pension will increase by whichever is highest out of inflation, average earnings growth, or 2.5% per year. On top of this, the coalition government has protected spending on the National Health Service (NHS), 'ring fencing' the department on which the old particularly rely, while also announcing this week that the education budget is set to face real terms cuts next parliament. Evidently, pensioners are getting a mightily good deal, particularly in the context of the fiscal austerity of the current parliament. It's no coincidence that the old are getting such a good deal, and it can be explained largely through some good, old-fashioned economics. The Public Choice school of economics provides valuable insights into the workings of a democracy. It analyses and explains the behaviour of politicians by studying incentives. It argues that, in the political realm as in the economic realm, incentives matter and people respond strongly to the incentives that they face. Politicians aim to maximise their share of the vote; they want to get elected and, after, stay in power. So why would enlarging the benefits offered to pensioners or, some might say, bribing them, achieve this end? Firstly, pensioners are numerous. Current figures reveal there are 10 million people aged 65 or over living in the UK. The proportion of old people in the UK is growing too. In 1971, 20% of the population was aged 60 or above, but by 2020 this figure is projected to be one third. 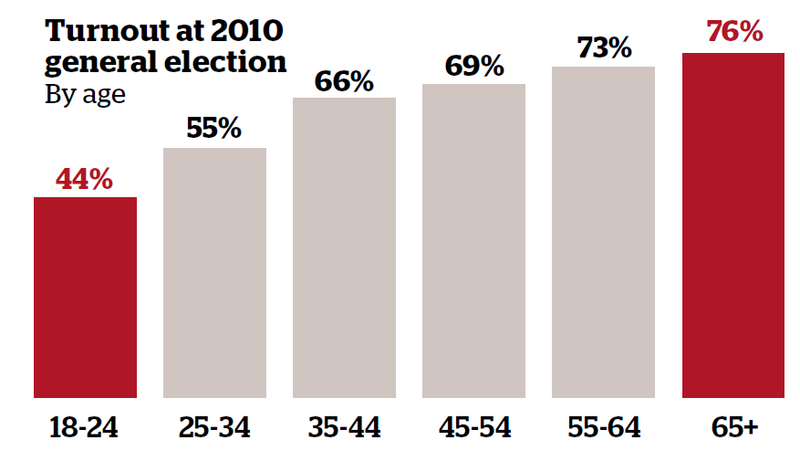 Old people are not just large in number, but are more likely to vote too. In 2010, 94% of those aged 65 and over had registered to vote, with 76% of these going to the ballet box on election day. Contrastingly, only 55% of people aged 18-24 were registered to vote, with only 44% of registered voters in this age group ultimately doing so. Evidently, the power of the 'grey vote' is enormous and it is not hard to see why UK governments pursue the policies they do towards old people. Now, this analysis does not, of course, mean that electoral incentives are all that politicians care about, or that all pensioners only vote to maximise their own self-interest. What is does show however, is that, as in much of society and life, many phenomena can be explained by a simple study of incentives and the analytical framework of economics. The economists' toolkit comes in handy once again. The Economic View is left feeling disappointed after the Greens’ U-turn on their proposed ‘citizen’s income’ of £72 per week yesterday. It’s a real shame that a policy with such forceful underlying economic logic and potential cross-party political appeal has been ditched. Unlike much of the Greens’ agenda, the idea of a basic income is actually good economics, and figures from across the political spectrum have supported such a policy in the past - including Milton Friedman, Friedrich Hayek and John Stuart Mill; none known for occupying the same political territory as the Greens. 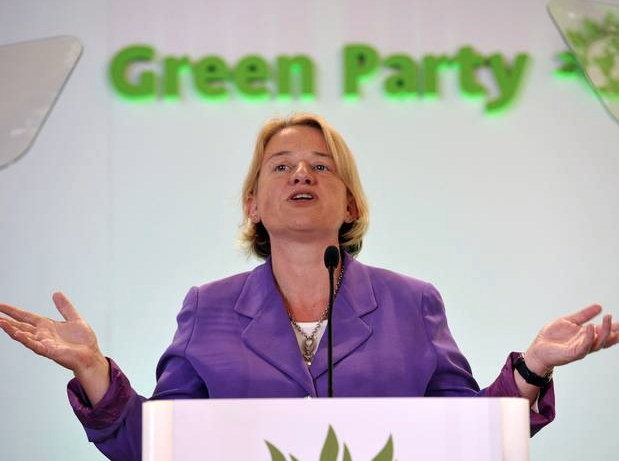 Unfortunately, sensible policies do not always come with persuasive advocates, and Natalie Bennett, leader of the Green Party, is a case in point. For those unsure of this, type into Google, ‘Natalie Bennett roasted by Andrew Neil on the Sunday Politics’, or some such similar search, and you’ll see what The Economic View is talking about. ‘But’, I hear you ask, ‘What’s so special about the basic income anyway? What’s the economic justification behind the idea?’ Well, I’m glad you asked! Firstly, contrary to what you might initially think, the basic income improves incentives to work, at least in comparison to our current welfare system. While some see it as a free hand-out that will only encourage idleness as people opt to receive their government cheque each work and not work, this isn’t the full story. No modern welfare system can eliminate this problem completely, but the basic income is an improvement on our current, complex and convoluted welfare system. Our present system means that many on benefits face an effective marginal rate of tax that is stratospheric, or even negative, as the double whammy of starting to pay tax just as benefits are withdrawn leaves many worse off by going back into work. This benefits trap locks many into a life on the dole; they’re better off on benefits. While the current Conservative government has taken some steps to ameliorate this situation with the universal credit, the bureaucracy and administration needed to introduce this reform have turned the proposal into a farce. The Greens’ presentation of the basic income made the policy seem like a far-fetched, unaffordable proposal. In fact, replacing our current, complicated mish-mash of a welfare system with the basic income would not be unaffordable. Scrapping all means tested benefits would save roughly £272 billion per year. This is not to mention the money that would be saved on administration and fraud costs. With a basic income, the opportunity for fraud disappears. Stories of able-bodied scroungers defrauding the state and receiving disability benefits in the Daily Mail would cease. So, a British political party proposes a change to the welfare system that is widely supported by many economists of all political stripes as being an effective and - crucially - simple way to organise the system. A proposal that could provide a social safety net for all, while also improving incentives to work and ensuring nobody gets caught in the benefits trap ever again. Yet, the policy is quickly ditched. Why? As is often the case in public policy, just because a policy is economically sound, does not mean that it will be politically popular. Presentation of ideas matters too, and unfortunately the basic income's advocate was Natalie Bennett. Welcome to 'The Economic View'. This blog - to use an already much over-used cliche - aims to do exactly what it says on the tin; provide an economic viewpoint to current affairs, topical issues and anything else that The Economic View finds interesting. Enjoy!